The land on which the old Abernathy house stands was a part of the Land Patent issued to William Davis, consisting of 3,129 acres located on the waters of East Fork of the Trinity River. The patent was signed by Governor E.M. Pease. When old Buckner was settled by Jack McGarrah the real frontier of 1844, it was assumed that this would be the county seat of the county formed in 1846 and the business of the county was conducted in the little log store by the first elected officials. When it was determined by the state that Buckner was not within the three mile limit of the center of the county, an election was held at Buckner to give the people an opportunity to select one of two proposed sites. One was the land on which McKinney now stands and the other was the land to the east of the old underpass on Highway Five, a place on Sloan’s Creek. On December 2, 1891 A.A. Wolcott sold the lot to Gideon Edward Abernathy (b.ll May 1849). (3) The house was built shortly thereafter, and Gideon E. Abernathy and his wife, Emma Means Abernathy lived in it until at least 1910. (4) The Abernathy Family established one of the most prominent and highly respected law firms in North Texas and is still in existence today. On August 6, 1937 the house was deeded to Lindsay Lee Bowen, Ota Myrtle Jeffus Bowen and Candis Farley. (12) Lindsay L. Bowen (b. 28 March, 1890 at Elmont Texas, Grayson County), was the son of John and Betty Alexander Bowen of North Carolina. Lindsay married Ota Myrtle Jeffus on July 14, 1912 at Deport, Texas. (13) The couple moved to McKinney in 1927 and began farming on approximately 100 acres located near Highway Five. They prospered in this occupation until the depression. After loss of their land, Lindsay L. Bowen managed a Duke and Ayres Five and Dime store in McKinney. He later purchased and operated two service stations in McKinney. Eventually he sold shoes as a self-employed salesman. Lindsay L. Bowen was a member of Trinity Presbyterian Church, an avid Mason, member of the Scottish Rite and Hella Temple. He was also a member of the Home Guard , which was organized to protect the U.S. should an actual invasion of the U.S. continent occur during World War II. The Bowens raised four children. Lindsay Lee Jr., Turner Leslie, Magee and Candis Bowen. Lindsay Bowen Jr. was an all-star football player at McKinney High School, going on to become an outstanding athlete at Rice University. He enlisted in the U.S. Air Force in February 1943 and served overseas. During his training at Marfa Army Air Field, Lieutenant Bowen held the honorary title of cadet colonel of his squadron. He was killed in action when shot down on 15 November, 1944. (15) A reburial service was held shortly thereafter in McKinney. Turner Leslie Bowen also entered the country’s service in 1942. He received his wings at Corpus Christi, Texas and went overseas in July 1943 with the V.P. 34 “Black Cats.” This squadron served eighteen months in the South Pacific and received the President’s Citation. Turner Bowen was awarded Distinguished Flying Medal. (16) He returned home after serving his term. The earliest photos of the house that can be found today were taken sometime during the Bowen years, 1937-82. 21 Although this cannot be proven, perhaps it can be surmised that during the depression, war , and years following, most families of average means would not have made major architectural or decorative changes, but rather focused on keeping the home operating and functioning as well as possible, and repairing damage however they could. James West of McKinney recalls that his grandparents Mattie Higgins West and T.W. West lived in the house at one time, and believes his great-grandfather, William Higgins (1850-1929 ca. ), was the architect who built this house in the early 1890s. West volunteered his architectural expertise and services toward saving the house, as the cost ofthe Couch ‘s restoration was mounting, and the banks were not lending money at that time on historical home restoration. (23) The lean-to structure was found to be at variance with traces of the original foundation. An upper elevation was constructed, which would blend well with the overall style of the Victorian farmhouse. The front of the house (facing east) remained the same, as well as the south side, and the north side, other than the back north comer. The fire occurred in what was then (1942) the kitchen. The fire destroyed part of the kitchen, a bathroom and porch, all on the back of the house. The gable lost to the fire was reconstructed and had a substantial impact on how the west elevation was designed. The Couches lived in the house until 1993.0ta Bowen died July 30, 1985 at University Nursing Home in McKinney. Candis Bowen Farley Couch is now 96 years old and lives in a nursing home in Rockwall, Texas. David Couch is a practicing attorney in Rockwall, where he and Julie also now live. The Couches sold the house to Eric and Lisa Friedrichs in August of 1993. The Friedrichs , along with their two young daughters, lived in the house for six years. The Friedrichs hired an architect to build a two-story carriage barn in back of the house. The Friedrichs sold the house to Patrick and Amy Oden in November of 1999 who lived in the house, along with their young son Austin, almost two years before moving to a different location in McKinney. The Odens sold the house to current owners, Frank and Brenda Waggoner in April of 2002. Since the Waggoners have lived in the house, they have replaced old cabinets (perhaps from the sixties) with cabinetry which Eric Friedrich had previously hired a cabinet maker to construct for the house. Friedrichs had never had the cabinets installed and they’d been stored in the garage, unfinished. The cabinet style is quite simple and compatible with the overall tone of the home. Also, the Waggoners replaced dilapidated Formica countertops in the kitchen and butler’s pantry with simple pattern granite countertops in 2004. In 2006 the worn and leaky wood shake roof was replaced with composition shingles. In 2008 the Waggoners added a kick-out window to the north side of the parlor, using the window the Couches had installed in 1984 as the middle unit, and adding two smaller one-over-one wood-framed reproductions on either side of the middle window. This lends a lighter and more open feel to the room, which is quite small by today’s standards. In May-August of 2009 the exterior of the house was painted (hand brushed and rolled), and some unsalvageable wood was replaced with 6″ Masonite to match the Couches earlier restoration work. Approximately 30 percent of the original long-leaf pine siding remains on the exterior of the house today and is mostly on the east side (front). Frank and Brenda are active in the McKinney community. They are members of the McKinney Historic Neighborhood Association and they attend Trinity Presbyterian Church. Frank restores classic cars, and his place of business is at AeroCountry, near Custer Road and Virginia Street in McKinney. Brenda is a licensed professional counselor practicing in Richardson and McKinney. She is also an author, with four books published, two by Cook Communications, and two by Tyndale House Publishers. Brenda is also a member of the Historic Neighborhood Book Club established by Ruth Bison. In the future, the Waggoners plan to add some gingerbread trim to the two-story carriage barn, using the good part of an old partially rotted long-leaf pine board that had to be replaced when the house was painted. This will create a greater feel of compatibility between the house and the carriage bam. The old air conditioning units in the house need to be replaced in spring of 2012 . Other than that, the house is currently in excellent structural and operating condition. The Waggoners’ main goal is to continue to maintain the house in the manner it deserves. Frank and Brenda Waggoner seek a Historic Building Marker (if granted we will place this on front wall of house near front door), as well as a tax exemption from the City of McKinney. 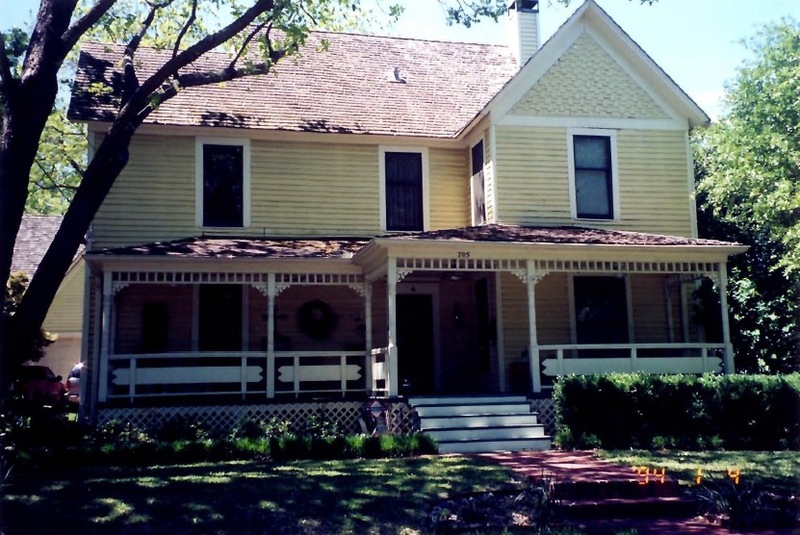 This well preserved and well documented historical house, which received the Award of Excellence from the City in 1985 after the Couches restoration work, deserves to be continually well-maintained for years to come, and is a vital part of the history of the City of McKinney. 1. Hall, Helen Gibbard. The Abernathy-Bowen House. Historical Report accompanying Couch’s application to Texas Historical Commission, 2 Feb.1985. 1,2. 3. Collin County, Texas. County Clerk. Deed Records. Vol. 52,133-134. 4. City o fMcKinney. City Directory of 1909-10. 6. Abernathy, William M. Our Mess: Southern Gallantry and Privations. McKinney, Texas. Roy F. and Helen Hall Memorial Public Library. McKintex Press. 1977,53. 8. McKinney, Texas. The Architectural Heritage ofMcKinney, 13. 10. Abernathy, William M., preface. 11. McKinney Weekly Democrat, 9 October, 1930, 1. 12. Collin County, Texas. County Clerk. Deed Records. Vol. 312,409. 13. McKinney Courier Gazette, Obituaries, Dec. 26, 1972. 14. Couch, David G., Rockwall, Texas, interview with Brenda Waggoner, McKinney, Texas, 23 December 2011. 15. Freedomfighters.com/hall ofheroes, 2. Also The Men and Women ofWorld War lIjn Hall, Helen. 6. 16. The Men and Women o/World War II in Hall, Helen. 6. 17. Couch, David G., 23 December, 2011. 19. Dowdy, Ann and Bill, McKinney, Texas, and Wilson, Dr. Jim T. Sr. and Mrs. Marion Wilson, McKinney, Texas, at a dinner interview with Brenda and Frank Waggoner, 705 N. Benge Street, McKinney, Texas, 12 November, 2010. 20. Moore, Naoma. McKinney, Texas, interview with Brenda Waggoner, McKinney, Texas, 11 July, 2010. 21. 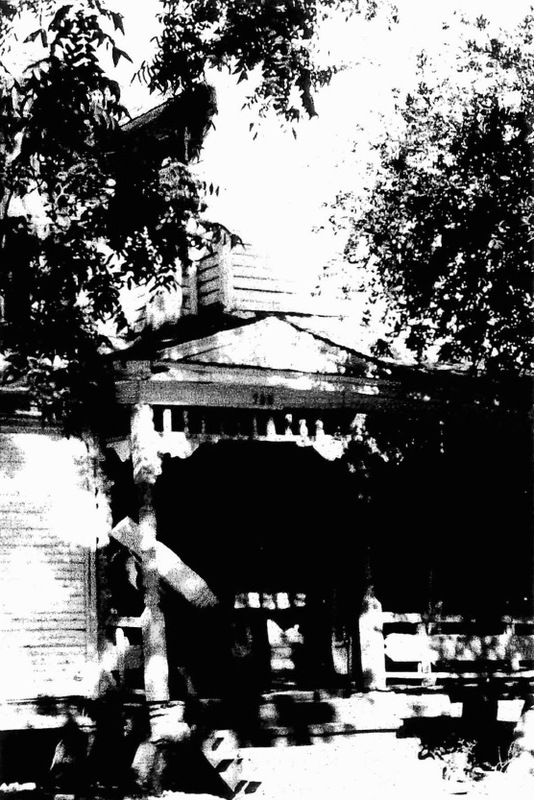 McKinney, Texas, 705 N. Benge Street, earliest photos found. Courtesy David Couch. 22. McKinney, Texas. Roy F. and Helen Hall Memorial Public Library. Sanborn Fire Insurance Maps of McKinney, Texas. 24. Couch, David G., 23 Dec., 2011. 25. Historic Description. David Couch’s application to Texas Historical Commission, 2 Feb. 1985, 1. 26. McKinney Courier Gazette, McKinney, Texas. 22 November, 1985. 27. McKinney, Texas. “Fourteenth Annual Christmas Tour ofEarly McKinney Homes,” in The Traveler, 15 November, 1985.